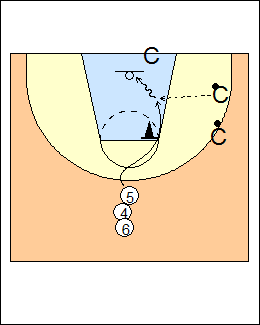 Use a rebounder and two passers. From the top of the key, 5 steps a defender away, comes off a chair for a pass, takes one crab dribble, scores. Option - coach plays a little defence, with a pad. Then flash up for a cheat-step jump shot. 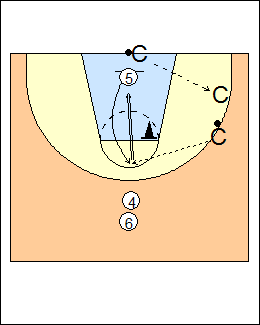 See Post play - Danny Manning, Two coaches, Pasquali moves and shots.